As a rule, we don’t include musician’s RTs of their fans’ posts, but this one, retweeted by Frank Iero a few hours ago, deserves to be given the title Tweet of the Day by all means. Former My Chemical Romance rhythm guitarist has retweeted a girl from St.Petersburg, Russia who ordered herself a bank card from the state bank Sberbank with a unique design – the artwork of the band’s debut album, I Brought You My Bullets, You Brought Me Your Love. Today is the album’s 14th “birthday”: though it’s hard to believe, the record came out in 2002 on this exact day. 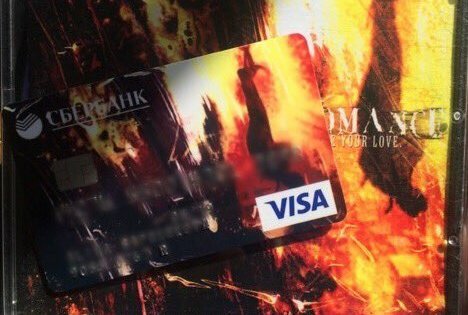 As soon as Frank Iero retweeted the picture of the exclusively designed bank card, tons of replies started flowing in – all MCR fans seems to be craving for the same MCR artwork bank cards. Hey, sounds like the band could actually make a proposition to bank and easily cash-in on this off-the-beaten-track idea. 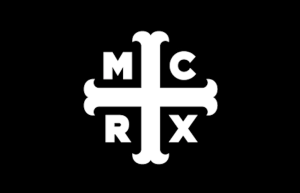 It seems especially timely as MCR recently updated their logo in social media and announced their plan to re-release another album, The Black Parade, in the light of the upcoming 10th anniversary of the record. What album artwork or what band’s pic would you like to see on your bank card? Share your thoughts in the comments, and join Alterock Facebook and Twitter to stay tuned for rock and metal news.